This City of London Gin Taster Selection Pack is a must-have gift for gin lovers. 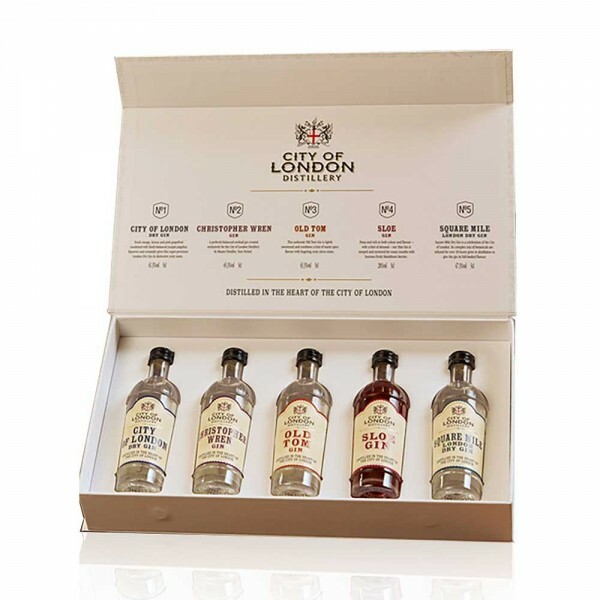 Featuring the full 5-strong range, this tasting pack includes City of London Dry Gin, Sloe Gin, an Old Tom Gin (a lighter, sweeter style of gin popular in the 18th century), the Christopher Wren Gin (with a higher ABV, crafted by Master Gin Distiller Tom Nichol) and the Square Mile Gin (at 47% ABV, the perfect choice for a London-style martini). These are real gins for gin-lovers. No nonsense, just exceptional flavours.